George Michael and Andrew Ridgely. They dreamily look deep into my soul – unearthing every little secret and thought as I flop on my bed – chin resting on hands looking even deeper into their souls – the intensity of my stare almost burning a hole in the album cover – held inches from my nose. I fancy myself Andrew’s best bud and the next Mrs. George Michael. Well – we all know how that all turned out. But that’s what you do when you’re twelve and a mad fan of Wham!. Losing myself in a selfie slow-dance to the heartbreak that is Careless Whisper – and always ending with a big finale of me forgiving George (this one time) for his cheating ways – a radically different sound pounds through my bedroom floor knocking me off my feet and leaving the Careless Whisper sax solo whimpering in the dust. My brother’s music. Hands on hips, an I-mean-business glare in my eyes, and ready to confront the injustice that has been assailed upon me and George (the same look I now spot in Soleil to much hilarity) – I storm down the stairs ready to unleash all my pre-teen angst on my older brother. But halfway down I stop, and the fumes rising out of me slowly fizzle out. For days afterward I sneak halfway down to the basement, take a seat on the stairs and listen to this sound that is planets away from anything I have heard before. But you can sneak around secretly enjoying your older brother’s music for only so long before you’re caught. He doesn’t tell me to take a hike, or embarrass me, or make me feel like a silly little WHAM!-loving twelve-year-old that I am. Instead he invites me in – passionately sharing with me this new world of music. Excitedly he rattles off facts – stories – one thought quickly leading to another – faster than I can keep up – as is his way to this day. We listen through his entire record collection – the MOD/PUNK/”alternative music”/SKA canon. The Jam – Dead Kennedys – The Cramps – Madness – The Specials – Bahaus – The Smiths – Style Council – The Clash – The Stranglers – Talking Heads – The Who – Velvet Underground…. Weekends become about trips downtown to Odyssey Imports on Granville Street (before Granville Street became the tourist hub that it is now) to check out the latest import releases out of the UK. When there was a distinct rivalry between the music coming from the UK vs the US. When the freshly mohawked punk rockers had claimed the front entrance to Eatons as theirs and theirs alone. All frightening and exhilarating at the same time for my pre-teen eyes. Those early years in Vancouver, after a day spent record shopping, Saturday nights were also synonymous with a dinner party at our family friends house – the K’s. Where we would all gather seeking comfort in the company of other families – expats – having gone through similar travels, similar adversities. New immigrants to a new land. 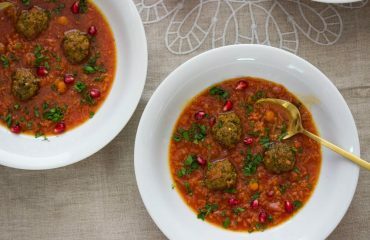 Where you could be guaranteed plenty of dancing and plenty of Mrs. K’s mouth-watering Khoresh Fesenjan – Pomegrante Walnut Stew. Food in general demands our respect. Khoresh Fesenjan commands our respect. The respect of time and patience. The respect of slowly and lovingly allowing a much celebrated stew of walnuts and pomegranate molasses simmer quietly away for a few hours on your stove on a Sunday afternoon. Warming up your home with its tantalizing aromas – transporting you to a faraway land – a faraway orchard – or – simply as my mother puts it – allowing all the flavors come to life. 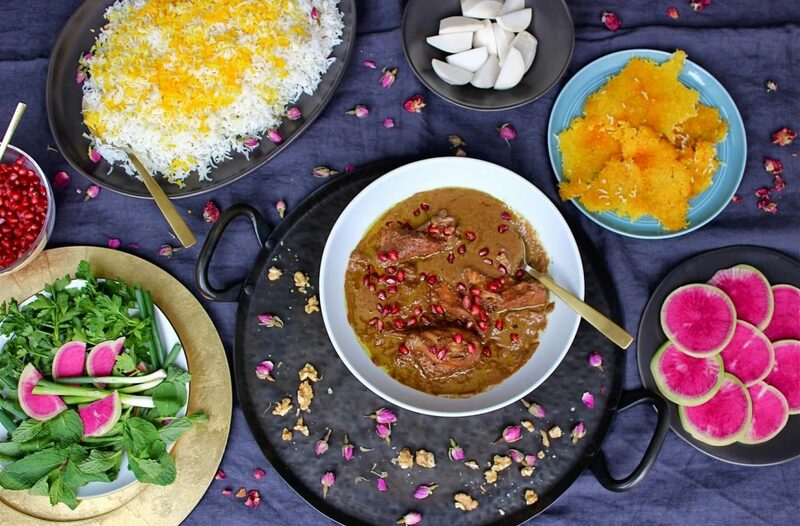 Contrary to popular belief Khoresh Fesenjan is quite simple to prepare. At its simplest preparation it is nothing more than ground up walnuts, pomegranate molasses, water, chicken (or vegetable of choice), salt to taste. That’s all you need. But for a little added depth of flavor you can enhance with some extra spices. I like to use a little bit of turmeric, ground up dried rose petals and cinnamon. However, this simple yet sumptuous dish is often quite polarizing as to how it should be prepared. This divisiveness comes down to a personal preference for what type of pomegranate molasses to use. Sweet or sour or something in between – sweet and sour. It is not uncommon for people to get quite particular and passionate about this preference. You know you are talking about quite a special dish when there is so much passion and intensity surrounding it. I like and prepare my Fesenjan sour – the way Mrs. K and my mom prepare it – the way it is prepared in Gilan – Shomal – the Northern region of Iran bordering the Caspian sea – known for its Khoresh Fesenjan. Now, by sour I don’t mean a mouth-puckering taste that makes you wince. It only means that there is no sugar or other type of sweetener added to the stew. 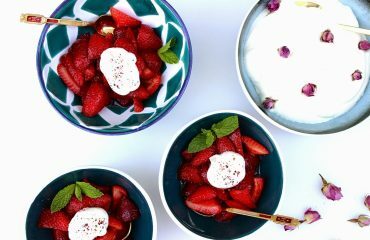 It is a subtle and satisfying tartness which is dictated by the kind of pomegranate molasses that is used. 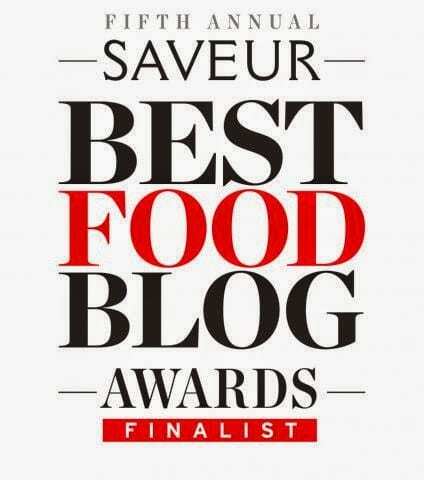 I use this pomegranate molasses which says sour on it. If you are new to Khoresh Fesenjan I recommend trying different kinds of pomegranate molasses and see what suits your palate best. There is also a debate as to how fine the walnuts in the stew should be ground up. Again, this comes down to a personal preference. Some like the texture of a rougher grind, where you can feel the crunch of the walnut in the stew. I prefer my Fesenjan smooth so I grind up the walnuts to a fine meal, or even to a paste. You’re looking for a grind resembling a flour like texture or smoother. The walnut meal is then mixed with some water and added to the pomegranate paste in the pot. There is one thing about the preparation of this stew that is not up for debate. And that is allowing the pomegranate/walnut sauce to sit and simmer slowly for at least a couple of hours before adding your meat or vegetable. No quick fixes here. The color, depth of flavor and richness of this dish depend on this step. Just like any good stew or braise, this is your chance to bring the flavors to life. Specifically to bring the walnuts to life . As the stew simmers, the walnuts will slowly start to release their natural oils. The more the walnuts release their oils the more they will come out of their raw state and the color of the stew will start turning from a very pale cappuccino shade to a rich brown . That is what we are looking for. 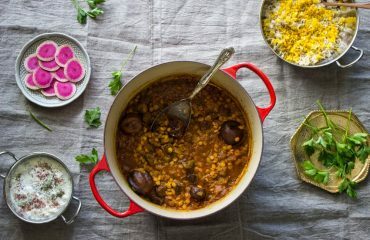 The walnuts can make this dish a very rich and hearty dish, so you want to skim off as much of those oils that come to the surface as possible to cut down on some of that richness. Also we don’t want a raw walnut aftertaste in the stew which can often be rather bitter. As the stew sits and simmers uncovered it will start thickening so you want to keep adding about half a cup of water to it every half hour or so. This process should take about 2 hours. 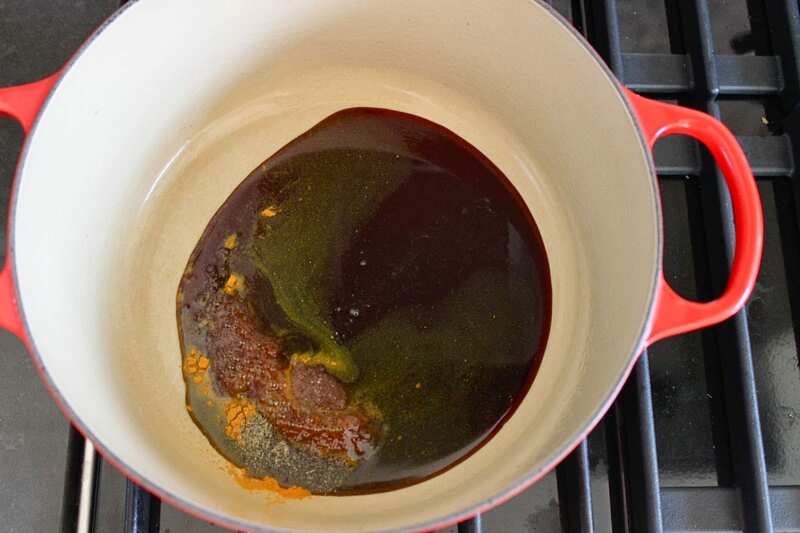 You will know the sauce is ready when its color has turned to a rich brown, when most of the walnut oil has been released and when it is at the desired consistency: not too thick and not too watered down. At this point you should taste the sauce and make any necessary adjustments like adding more pomegranate molasses if necessary. This is also where I add the cinnamon and ground rose petals, if using. The sauce can be made ahead of time up to this point and kept in the fridge before adding the chicken. If I am pressed for time or preparing for a dinner party I usually make the sauce one day ahead. 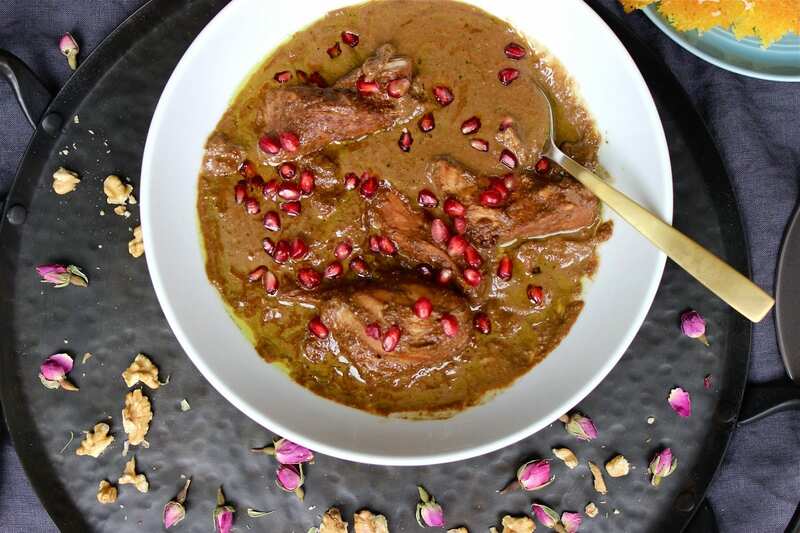 Traditionally, Khoresh Fesenjan was served with a whole duck placed in the sauce and cooked through. It has now become more common to make Fesenjan with chicken – whole or cut up into pieces – which is how I like to prepare it. Some preparations also use mini meatballs which cook through in the sauce. You can also make a vegetarian version with eggplant or mushrooms or various types of squash. It goes without saying that Fesenjan, or Fesenjoon as it is more colloquially called, should be enjoyed over rice. 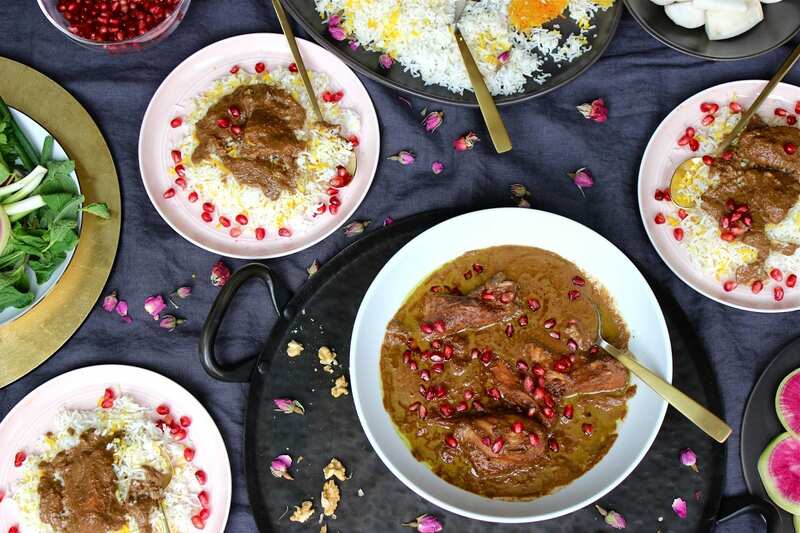 This dish is also a perfect example of the Persian tradition of balancing a meal. A rich and satisfying stew like Fesenjan should always be accompanied with something fresh, raw and crisp to aid in digestion. 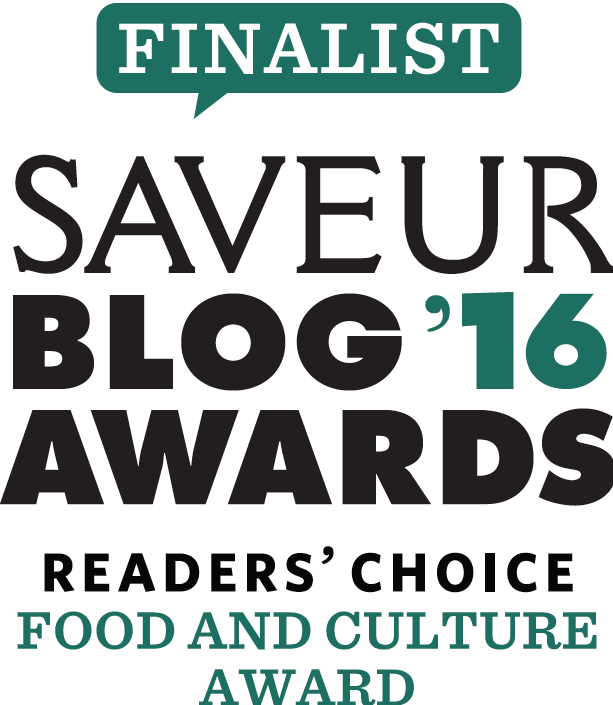 We are a culture obsessed with digestion. 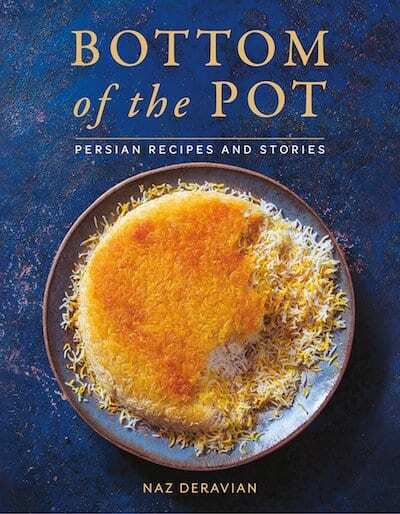 So you will most definitely find Sabzi Khordan – a platter of fresh herbs and radishes (I love using watermelon radishes when available) at the table along with a bowl of crisp, fresh turnips as is tradition in Gilan and at Mrs. K’s house. Those Saturday nights at Mrs. K’s, after a feast of Fesenjan, Baghali Ghatogh, Mirza Ghasemi and smoked fish – following the obligatory after-dinner tray of tea and dates (for digestion of course) was passed around – after the platter of fruit (for digestion, of course) was served – after the dancing and clapping (also for digestion, of course) – my best friend S. and her older sister M. and I would watch my brother, their older brother B. and another good friend F. go through their ritual of getting ready for a night out. It almost always involved excessive amounts of hair gel. I secretly longed to one day tag along, be a part of that world. But until then I was quite content with George upstairs in my room and the new world order I was experiencing downstairs in my brother’s room. Clinging to my childhood but on the threshold of crossing over to something new, exciting and nerve-racking: the teenage years. That’s what happens when you’re twelve. On the cusp of when his music, becomes our music – my music. Dedicated to the memory of Farzad and Sepideh. * You can grind up dried rose petals in a spice grinder. You can buy dried rose petals at Middle Eastern markets or here or here for organic ones. 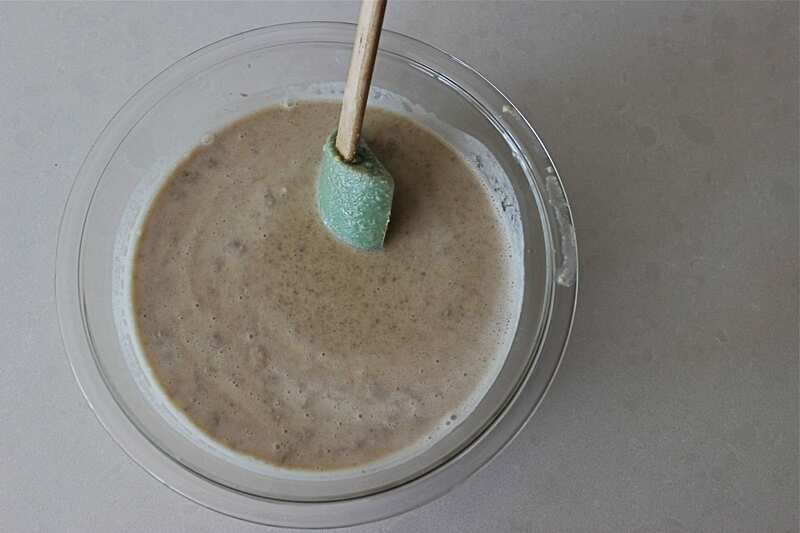 1- In a medium size bowl mix the ground up walnut meal with 3 cups room temperature water. 2- Heat a large dutch oven style pot over medium heat. Add the pomegranate molasses, 1 teaspoon salt and turmeric and stir to combine. Keep a close eye on it. As soon as the molasses starts to bubble and come to a gentle boil add the walnut/water mixture. Stir and allow to gently boil for about 5 minutes. Turn the heat down to low and gently simmer the sauce uncovered. 3- You will be simmering the sauce uncovered for the next 2 hours or so. Add about 1/2 cup of water every half hour or so. You will know it’s time to add more water as the sauce starts to thicken and the walnut oil starts to rise to the top. Make sure you stir once in a while making sure nothing is sticking to the bottom of the pot and your sauce isn’t burning at the bottom. Skim off any oils that come to the surface. The color of the sauce will start turning from a pale beige to a rich brown throughout this process. Once the sauce is ready add the cinnamon and ground up rose petals. Taste and make adjustments. I usually add another 1/4 cup of pomegranate molasses. Hold off on adding more salt because the chicken will be seasoned with salt. The sauce can be made ahead of time up to this point. Or carry on right to the next step. 4- Cut up the chicken breasts and thighs into medium sized pieces. I cut the thighs in half and the chicken breasts into 3 or 4 pieces. Season the chicken with salt and pepper. Add the chicken to the sauce and simmer for 45 minutes – 1 hour until the chicken is cooked through (if the stew starts thinning out turn up the heat slightly, just make sure you are stirring so nothing sticks or burns). I prefer the stew on the thinner side than the thicker side. Taste and adjust seasoning if necessary. 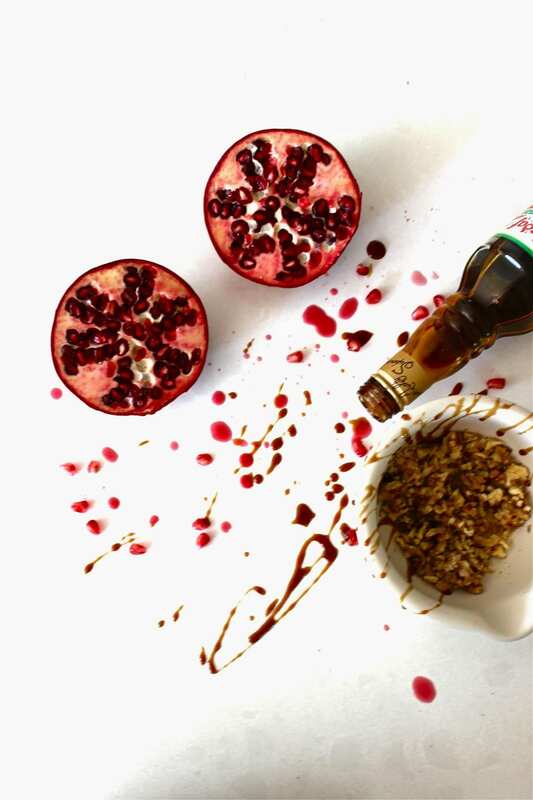 Serve over rice and garnish with pomegranate seeds if you like. Enjoy with a side of Sabzi Khordan and/or raw turnips for digestion of course! Oh yeah…now I'm itching to fire up the food processor!! So glad you finally took on the grand and beautiful thing that is Fesenjan. Also really glad you provided a recommendation of type of rob-e-anar to use — I never know which one to buy at the store, and I make it so rarely that I always forget which one I bought last time! Question: Batmanglij asks for saffron in her recipe, at which my mother, characteristically, turned her nose up. What do you think? My dearest VS! I think the use of saffron in Fesenjan is another of those personal preferences. I have used it in my Fesenjan in the past but I don't anymore. When using saffron I depend on its characteristic hue, flavor and fragrance to shine and add depth to a dish – all of which get lost in a stew like Fesenjan. Not worth using such a precious AND costly spice when it has to battle it out with the rich flavors of pomegranate molasses and walnuts. But again it comes down to personal preference. Happy Fesenjan making and eating! I am following this recipe right now. The walnuts and molasses are simmering. My Persian neighbour (in The Netherlands) said it is a winter dish, while we are enjoying a heatwave now. 🙂 hm… let's see. Eerst it makes so happy to hear that you're making my Fesenjan half way across the world! Yes, this stew can be considered a winter dish. But my family enjoys it all year round. As far as I'm concerned any day is a good day for Fesenjan! PLEASE let me know how your Fesenjan turns out. Enjoy! After living in Westwood for a couple years and enjoying fesenjan at several of the restaurants here, I finally used your recipe to try making it myself this past Sunday! It was delicious. Thank you for your beautiful writing, and for making dishes like this one accessible.